Quality Care and in-depth knowledge. We spend the necessary time with each patient and offer quality dental care at affordable prices. We have been serving patients since 2007. Delivering high quality Dentistry and helpful care to all our patients. Dr. Shumway Graduated from UW Madison with a biology degree. Before attending Marquette University School of Dentistry, he worked as a marine biologist with National Marine Fisheries. 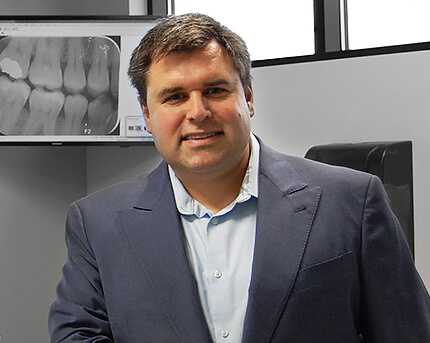 In 2004, he graduated with honors from Marquette School of Dentistry. After spending several years working and learning dentistry, he decided to open his own practice in Slinger, WI in 2008. In 2014, he opened a second location in Kewaskum, WI. Dr. Shumway was drawn to dentistry due to a love of artwork and science. To succeed in dentistry you need to not only understand the science, but also appreciate the artistry to create beautiful smiles. Dr. Shumway has developed his practice to be family friendly and therefore, treats patients of all ages. Dr. Shumway is a member of the American Dental Association, Wisconsin Dental Association, past president of Washington/Ozaukee County Dental Association and a member of the Milwaukee Dental Forum. Dr. Nick Rogness is originally from Strum, WI. He graduated from the University of Wisconsin-Madison with a degree in biology before heading to Marquette University School of Dentistry, where he graduated with honors. 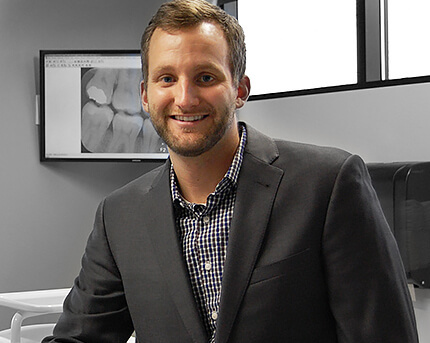 Dr. Nick enjoys the variety of procedures he is able to perform as a general dentist and appreciates the opportunity to develop long-term relationships with his patients. These relationships give him the ability to openly discuss treatment options and give his patients the information they need to make the decisions that are best for them. He strives to make his patients feel comfortable during their appointments and a positive overall experience. Outside of dentistry, you may find Dr. Nick out on the golf course. He also likes to hunt, fish, and cheer for the Badgers, Packers, Brewers and Bucks. Most of all, he loves spending time with family, friends, and his fiancé Malea. Passionate about creating the healthy smile you want through science and artistry. Our offices were designed to be aesthetically pleasing, while utilizing some of the most advanced dental technologies available. We want our patients to feel comfortable, while providing the highest quality care possible.